DISTURBED Announces Second Leg Of ‘Evolution’ North American Tour! 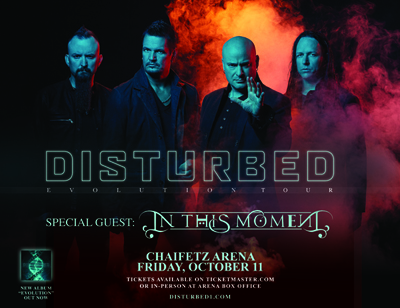 In This Moment opens the show Oct. 11th St. Louis, Missouri at Chaifetz Arena! Tickets at THIS LINK!